After 6 years of trial and error (seriously! ), I’ve finally come up with the ultimate karaage (Japanese style fried chicken) recipe! 1. Cut chicken thighs into bite sized chunks (or use chicken drum sticks). 2. Marinate the chicken in a mixture of soy sauce, sake, sweet wine (or sugar), freshly grated ginger and garlic for about 20 minutes. 3. Coat each piece of chicken with katakuriko (potato starch ). 4. Deep fry the pieces of chicken. 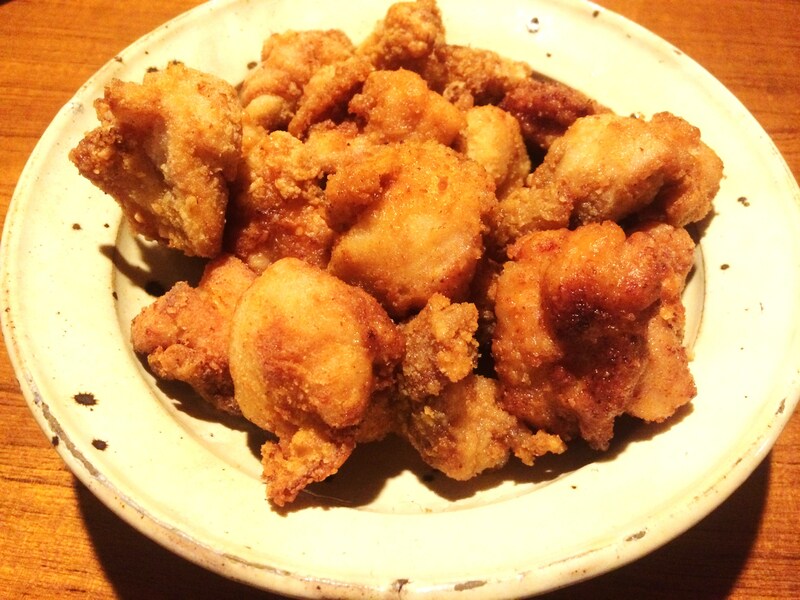 This recipe is good – but it doesn’t allow me to produce the stable karaage all the time. Sometimes it’s subtle in flavor. Sometimes it gets greasy… I analyzed the reasons for failure and found a solution. 1. Use ‘shoyu koji’ (fermented rice malt with soy sauce) instead of the above mentioned marinade sauce. It gives mild and rich taste by bringing out the flavor of meat. 2. Use corn starch instead of potato starch. Corn starch has finer texture than potato starch, so it will keep less oil on the surface and make karaage crispy. 3. Add small amount of chilli powder to the corn starch. It helps reducing the oily taste and make karaage teste much lighter. However, do not add chilli when it’s served for small kids. Just take my word for it and give it a try! In Japan, popular meat are chicken, pork and beef. Occasionally, duck, mutton and veal are served. In specific areas, sometimes the meat of wild boar, horse, goat, bear, rabbit and venison are consumed. Among them, beef, especially Japanese ‘Wagyu’ is considered as one of the most luxury food. Reflecting its worldwide popularity, Wagyu is getting attention as one of the strategic export items and even some countries are trying to produce their own Wagyu. According to the Japan Agricultural News, a number of Wagyu brands are registered and being applied in the United States where the crossbred cattle between Japanese breed and Angus can be sold as Wagyu as well. Also in Japan, how to distinguish beef labelling is quite complicated. Beef distributed in Japan can be roughly classified into three: Wagyu, Kokusan-gyu (domestic beef) and imported beef. It’s a bit tricky that Wagyu and domestic beef (Kokusan-gyu) are not the same. Japanese beef ‘Wagyu’ consists of four breeds: Japanese Black (Kuroge Washu), Japanese Brown (Akage Washu), Japanese Polled (Mukaku Washu), and Japanese Shorthorn (Nihon Tankaku Washu). The breeds are strictly controlled. Among them, the most popular one is Kuroge Washu, which beef is densely marbled. It literally means ‘domestic beef’ but in fact, ‘domestic beef except Wagyu.’ Kokusan-gyu consists of Holstein and crossbred cattle. It is less expensive than Wagyu. Japanese beef products have identification numbers to enable their traceability except for some processed products. Kobe beef has become a byword for Japanese luxury beef. In fact, it is one of the major three Kuroge Wagyu brands. The others are Matsuzaka beef and Omi beef (or Yonezawa beef). 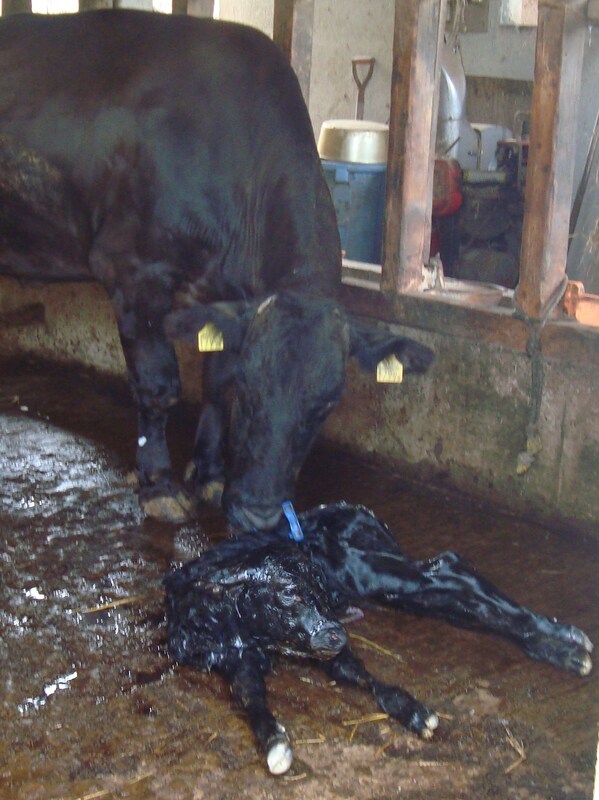 According to the research by Japan Meat Information Service Center in 2008, 155 Kuroge Wagyu brands are recognized. Indeed, they are all the same breed. The brands are normally named after the place where the cattle have been grown, not the place they were born. In many cases, the breeders and growers are different. There is no doubt the major brands promise the quality, but it doesn’t mean that other brands are inferior. Each brand has an elaborate and unique technique producing Wagyu. As long as it’s labeled ‘Kuroge Wagyu’ or ‘Kuroge Washu’ in Japan, they meet the standard for the highest quality beef, so it’s rather a matter of preference which brand you choose. Meat Grading has been used by professional buyers or cooks to choose beef. If you’re interested to learn the details, check out the website of American Wagyu Association which offers clear explanation. As consumers, it is more important to choose the best recipe for Wagyu and select the suitable cuts (e.g. sirloin or fillet for the steak). The popular recipes for Wagyu are Teppan-yaki, Steak, Sukiyaki, Shabu-shabu, and Yakiniku (grilled like Korean barbecue). Personally I don’t like too much fat, so I’m not attracted by A5 Wagyu sirloin steak which will give me heartburn. For steak, I would rather prefer lean, grass-fed imported beef. Historically speaking, the marbled beef had been developed for ‘Gyu Nabe (Beef Pot)’, which is the ancestor of eastern style ‘Sukiyaki’ of today. To make this, beef needs to be boild for a while, so the marbled beef is the most suitable as it will remain soft after boiling. When served as Sukiyaki, the beef is sliced extremely thin, and just a couple of slices will give us a lot of safisfaction. I love this modest way of enjoying Wagyu the most among many Japanese recipes.